Houseboating is the rage on lakes all over the country—so much so, that houseboat rentals on Shasta Lake account for one of the top vacation options in California. They make a great venue for family reunions, business retreats, employee team-building outings, or even just friends group weekends. Spending several days or weeks on the water is bound to be fun, but here are some tips you’ll want to follow to ensure that you maintain your sanity while you’re floating through a scenic wonderland. 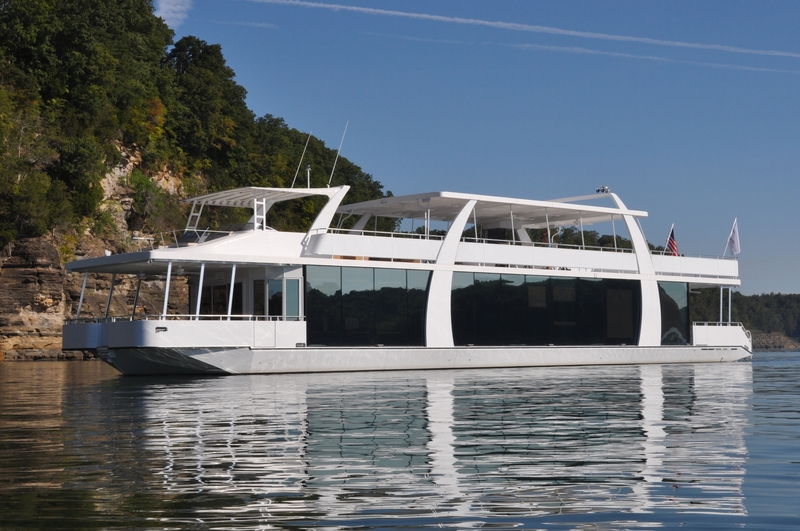 Houseboats are made for leisurely meandering through the coves, inlets, and wide open spaces of a lake. There’s no rush here—nowhere you need to be, no phone calls to make, and no deadlines to meet. This is your time to go at your own pace and enjoy the scenery. Make sure that you and the rest of the clan discuss preferences for activities and the general flow of your vacation. If part of the group wants to engage in rigorous hiking, daring water sports, and breakneck speeds while the rest want to take it slow and easy, you’ll need to work out a compromise that works for all parties involved. This type of agreement is best done before the vacation, because otherwise, it could lead to a fallout—a not-so-awesome development of your fabulous vacation. Of course, everyone will want to know how much it’s going to cost. There’s one problem—it’s impossible to know this ahead of time. 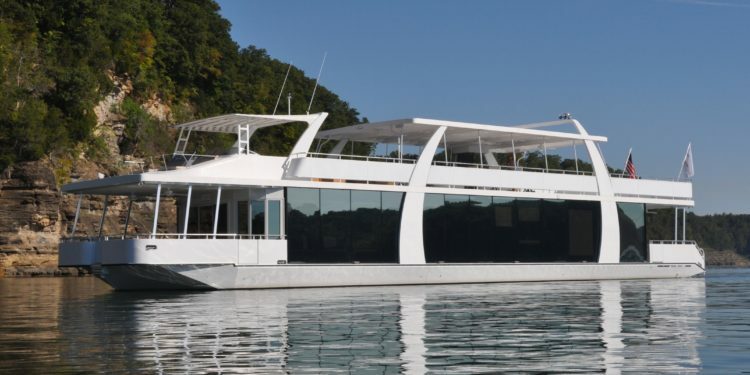 Yes, you can determine the actual split for the rental, deposit, and insurance, but fuel is the great unknown of houseboat rentals. Have everyone pay their share of the deposit and rental ahead of time. Someone needs to be in charge—and that someone needs to be organized. Otherwise, you may end up in the middle of the lake without a can opener. If your whole meal plan depends on canned foods, you’re in trouble. You’ll need things like bed linens, towels, and paper plates too, since houseboats don’t normally supply those. Assign a captain. This person should be an alcohol-free team-player who can get a boat from one point to another without creating a catastrophe. You should also assign a co-captain—someone who can make sure your boat doesn’t run over someone or bump into something when it’s being docked. Another person needs to be in charge of meals, or if you have multiple cooks, you can assign a head cook for each meal. There is limited space on a houseboat—not all the cooks can be in the kitchen at once. 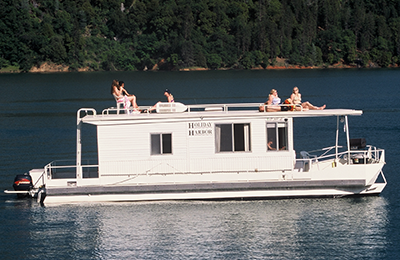 Houseboat rentals on Shasta Lake are one of the best ways to spend a vacation. A few practical tips like these can help you maintain your sanity and actually have a fun vacation on the lake.